Empty-nest syndrome is common in parents who have devoted their lives to taking care of their children, only to find that once their children grow old enough to venture out on their own, life feels very different. Suddenly, you have a lot more time on your hands, and the emotional toll of missing your children can even lead to depression. That’s why it’s so important to take this time to do something for yourself. Many parents find that their home is a major area of potential once they finally have it to themselves and choose to make changes or renovations that they couldn’t make before. Now, you have the chance to create the dream home you’ve always wanted. The key is to make it exciting on a budget. This means finding DIY projects that won’t break the bank, such as turning your bedroom into a comfortable havenor turning the bathroom into a spa-like sanctuary. Start with a good plan, figure out your budget, and think about which rooms have the most potential to be something else. Then, make sure you can finish the work yourself, as bringing in a pro can be costly. Keep reading for more great tips on how to complete exciting, budget-friendly DIY home projects. Before you make any decisions, you’ll need to create a budget. Do some research on how much a renovation will cost in the room you want to make over, and be sure to plan for materials and think about any new decor you’ll need. Then, take a look at your home budget and figure out how best to make it work. If you look for sales, cashback opportunities, and coupons online, you can save quite a bit of money on materials and decor. Keep in mind that although ideally you’ll be able to do the job yourself, there may be areas where you’ll need a pro, such as when it comes to plumbing or electrical wiring. In these cases, use an online search tool like this one to make the job easier. Transforming your bathroom into a spa-like haven doesn’t have to be costly or difficult. Investing in some fluffy white towels, replacing the shower head with a removable one, and re-tiling the floor or inside of the shower is a great place to start without breaking the bank. 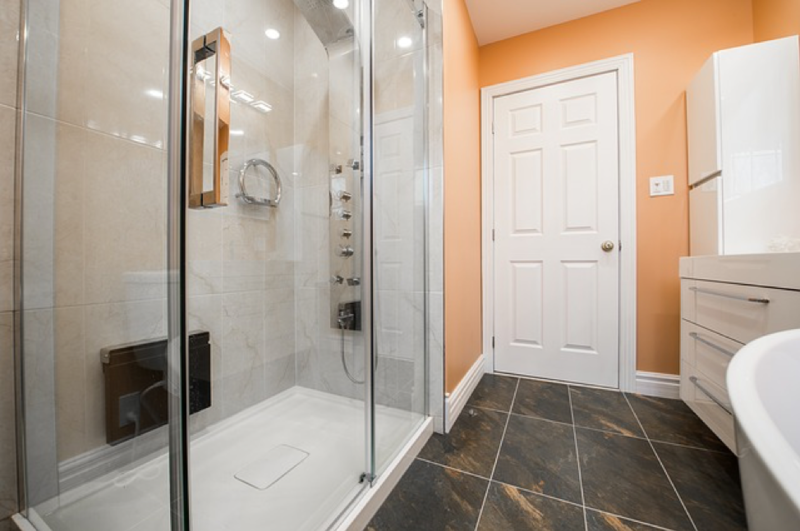 If you want to go bigger, consider removing the bathtub altogether and replacing it with a step-in shower with glass doors. Not only can this help you stay safe if you choose to remain in the house as a senior, it could add to your home’s value. Those who have sacrificed space for their children will know how awesome it feels to take it back. After your child moves out, consider using his old bedroom as an office spaceor study. A fresh coat of paint, a nice desk, some bookshelves, and a change in lighting will transform the room into a new place that is just for you and your needs. Investing in a pull-out couch will ensure that he still has a place to sleep when he comes home for a visit. There are so many options available to you when it comes to creating the home you’ve always wanted, so let your creativity flow and think about what will make the most sense for your needs. Also, take into consideration how these changes will affect the home’s value should you decide to sell down the road. Converting an unused space into something else--such as turning an attic into a bedroom area or finishing a basement--is a great way to boost the value while making sure you get the home you want.